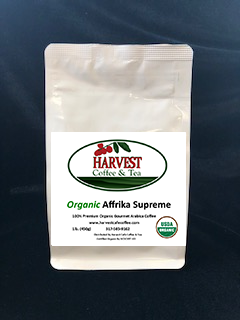 This coffee has the exotic flavors and subtle nuances of Indonesian and Ethiopian in the dark distinctive blend. This is a dark roast equivalent to our Black Magic except in DECAF. A combination of the finest Indonesia and Americas coffees are blended together in just the right amount. To create a full-bodied, rich aromatic blend to start your day. Large and uniform beans are grown high in the mountains and handpicked. It has a medium acidity with deep, rich walnut flavors. Yirgacheffe is a coffee with citrus berry undertones and distinctly floral notes. Medium bodied with a pleasing, smooth aftertaste. This deep, hearty dark roasted coffee is rich flavored and is one of our customer’s favorites. It has a bittersweet and light smoky flavor with a nice body.